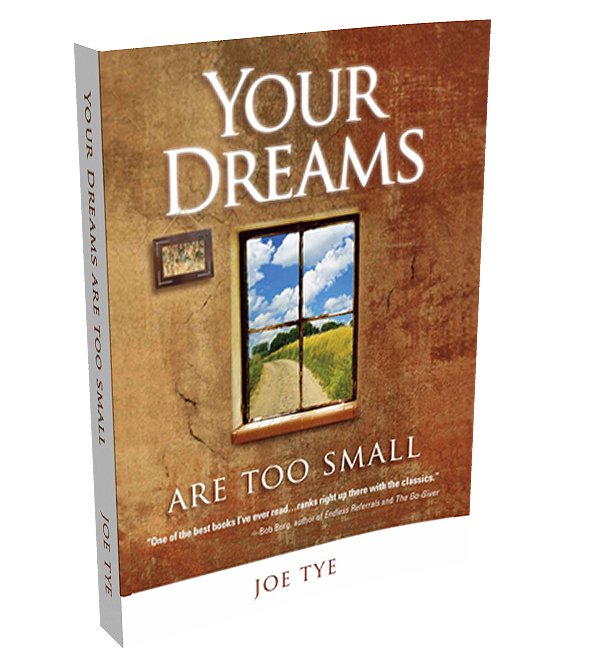 This powerful book will help you dream bigger dreams and to take action to transform those dreams into your memories of the future! You will already be receiving the PDF ebook version of the book as a bonus, with your purchase of the PledgePower program. 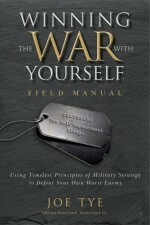 This is the PRINT version of the book, which may be purchased in addition & will be shipped to your mailing address. A quick read that will last forever. That’s how one reader described Your Dreams Are Too Small. 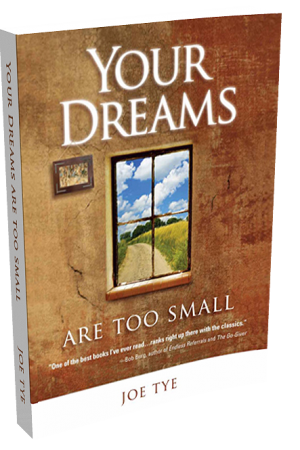 This story will inspire you to raise your own sites and dream bigger dreams, and equip you with the tools you need to fulfill those dreams.